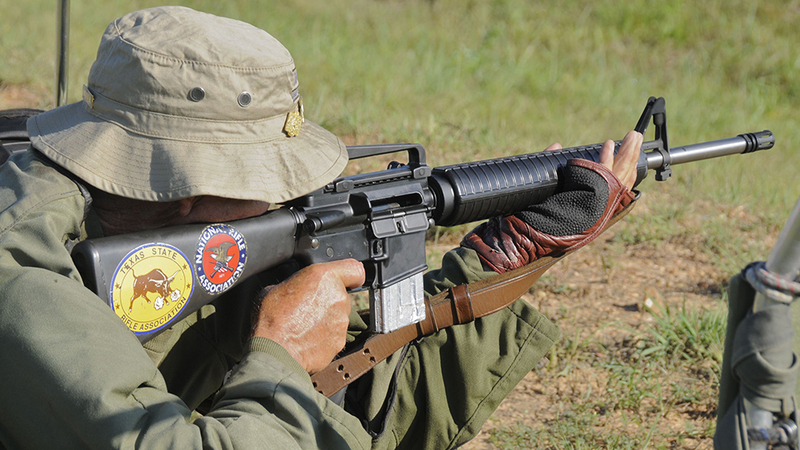 Service Rifle is a division of High Power Rifle Shooting. The rifles cannot be altered beyond what’s allowed in the rules, and there are very few adjustable parts. Sights may be open sights or telescopic with limitations. 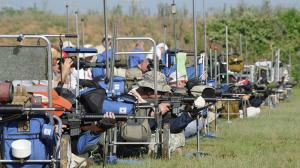 Any rifle which has been the standard issue rifle for the United States Armed Services is allowed. However, almost all shooters prefer the AR-15 with telescopic sight. High Power Rifle Matches will consist of multiple stages of fire. Each stage will require 12 or 22 rounds of ammunition. Courses of fire are fairly standard. 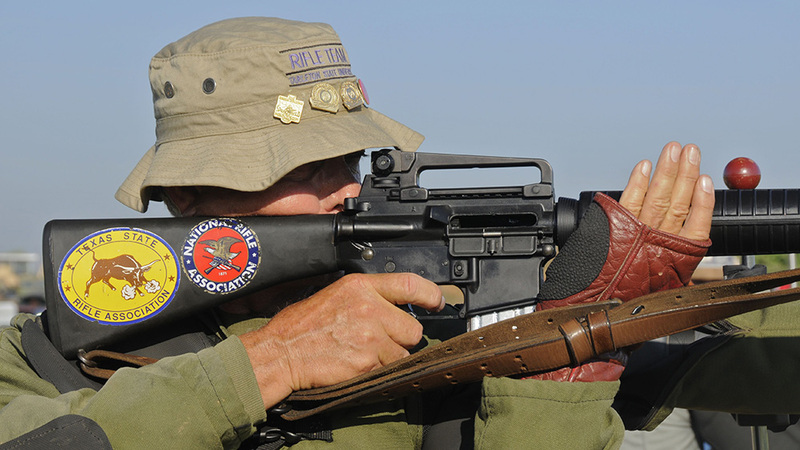 Each course of fire typically allows the use of “sighters” before the shooting starts to ensure that the rifle is properly zeroed. Sighters are shot one at a time (shoot, wait for the target to be scored, shoot again) but are not included in the score. 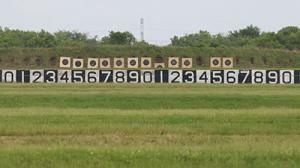 200 Yards, Standing, Slow Fire – Loading only one round at a time, shooters will fire 10-20 rounds depending on the match. 1 minute per round total time limit (10 minutes for 10 rounds). 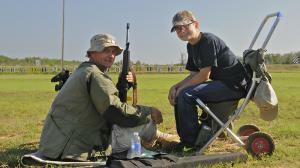 200 Yards, Sitting or Kneeling, Rapid Fire – There is a mandatory magazine change with rapid fire shooting. Shooters will load 2 rounds in one magazine and 8 in the other (total of 10). Shoot the 2 rounds first, change magazines, then fire the 8 rounds (this is to keep Garand shooters happy with their 8 rounds in bloc clips). 60 second time limit. 300 Yards, Prone, Rapid Fire – Just like the previous stage, except in the prone position with a time limit of 70 seconds. 500-600 Yards, Prone, Slow Fire – Back to firing one round at a time. 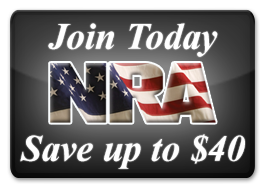 Follow the same rules as the standing course of fire, except from the prone position. At the registration table you will receive your squad assignment and be told which firing position you’re assigned to. This will tell you which target is yours, and when you shoot. Some matches change the names but the idea remains the same. Once the match begins you’re doing one of three things. You’re either shooting, spotting, or pulling. There’s very little “downtime” at a match so be ready to go as soon as it’s your turn. Make sure to give your scorecard to your score keeper to keep score for you, as you cannot write down your own score. Pay special attention to putting your ECI in your rifle’s chamber before you leave for the firing line. When it’s your turn to shoot you will be given 3 minutes of “preparation time.” This is the time to get your stuff on the line, get suited up and in position, and do some dry fire practice at the targets. You can remove the ECI from your chamber once your rifle is on the line and preparation time has begun, but do not load any live ammunition. 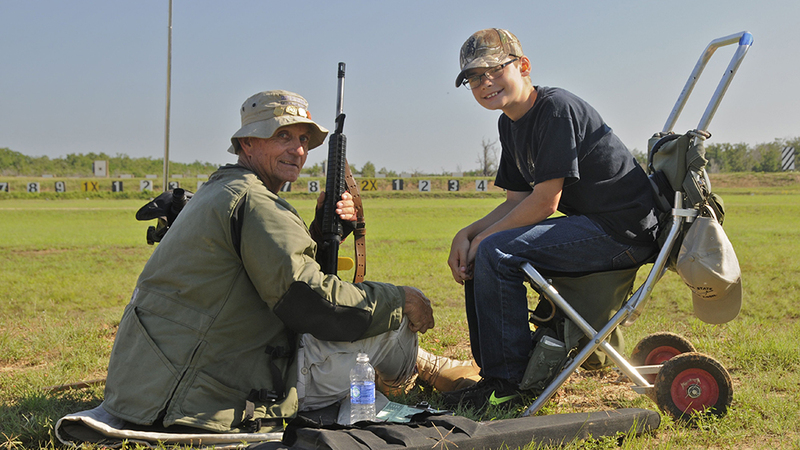 Following the preparation time you will be given the opportunity to fire two rounds to ensure that the rifle is properly zeroed. Afterwards the targets will drop into the pits. After you are done shooting insert the ECI in your chamber, pack your stuff up and get off the line. The person keeping score for you will then hand you your scorecard for that stage, sign it if it looks accurate and hand it back. Now it’s your turn to keep score.